Fandangle alert! 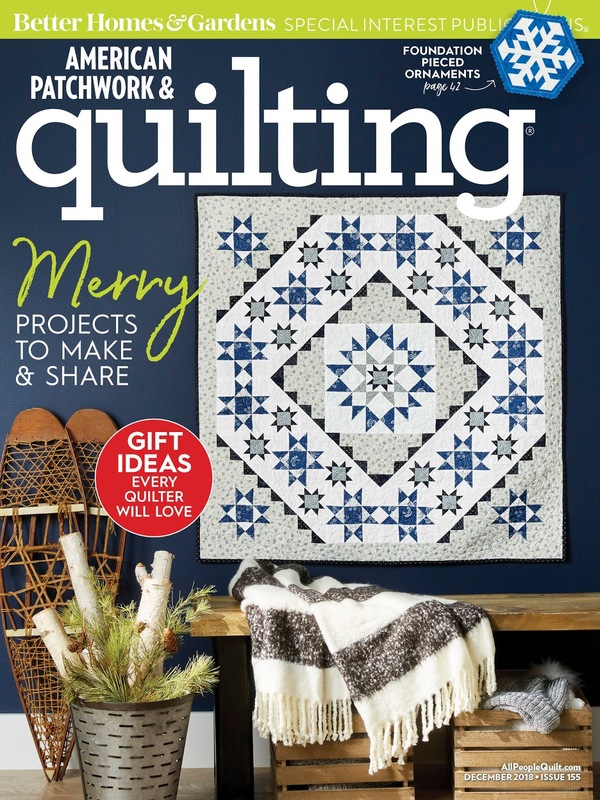 Christa Watson's "Out of the Box" quilt, featuring Fandangle, is featured in the December 2018 issue of American Patchwork & Quilting, on sale now. We talked to Christa about her quilt below. 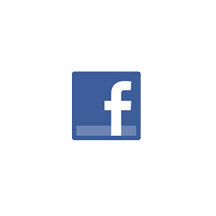 Where did you come up with the idea for this design? This started off as a doodle—the idea of a box shape. I started playing around with it in grayscale, and when I colored it with the Fandangle fabrics, I realized how well it worked. How did you choose the background fabric? First I tried gray (from the collection) and it didn’t sparkle. The white background nailed it. It makes the design crisp and clean and allowed the fabrics to shine. I used white Color Weave. I love that print in particular because it’s more modern and works well with my fabrics. Here’s my Color Theory 101 lesson: Grab all the fabrics you like and pair them with up with a super light or super dark fabric, and they’re going to look great. It’s all about the contrast. 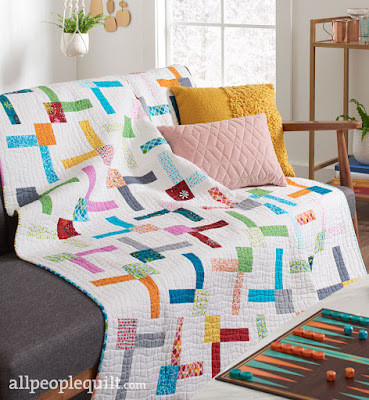 What’s something that might surprise us about this quilt? When I first designed this quilt, the colored strip was along the edge of the block (flip flopped with the white strip). When I started making it, I tried switching the colored and white strips. I liked I better. The colored strips float. Sometimes I’ll be 99% sure that I like the design, but I leave room to tweak it. Do you pick fabrics specifically for each block? I call it planned scrappy. The only rhyme or reason in my choices is that the square and strips are different fabric. I don’t want to think about it much—I just want to sew. Then I spend time arranging colors when I lay out the blocks. 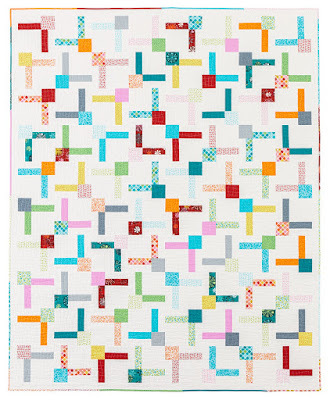 We love the scrappy binding! Thanks! Fandangle is available in 20-piece fat quarter bundles, so I designed this quilt to work with those bundles. I love the way a scrappy binding looks, but I also like designs where people don’t need to source more fabric for the binding. Using strips from the fat quarters worked well. I didn’t want to do a design that would detract from the fabrics. If I’ve created a design with busy fabrics, I try not to do busy quilting. I used my walking foot to make wavy lines. 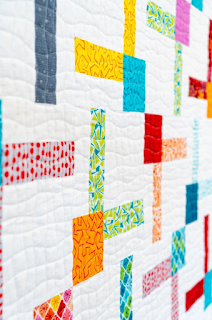 My “perfectly imperfect” machine quilting method aims for texture over perfection. Click here to read more about Christa's quilting. What I like about the quilt design is that it’s a pattern that will look good with any fabric. 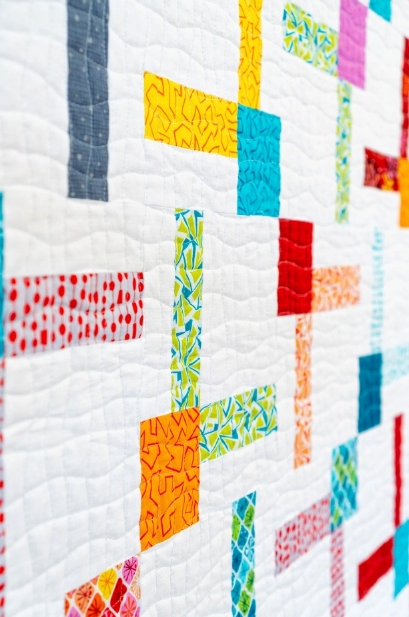 I really love quilts like this with simple machine quilting texture—it’s fast and it looks good. Click here to visit Christa's website. 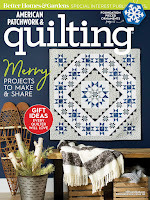 Click here to find American Patchwork & Quilting.